The United States (U.S.) health insurance system is uniquely complex due to its mix of private and public coverage options with separate, specific eligibility requirements. This complexity makes the system notoriously difficult to understand—as demonstrated by frequent instances of Americans demanding the government “stay out of” the government-run Medicare program—and notably challenging to navigate, even for the well informed. Public organizations bear many of the direct and indirect costs of the complexity. The system could be simplified in the long run via adoption of a universal, single payer insurance plan. In the meantime, confusion can be ameliorated using an underutilized public administration tool: public education. Health insurance is a prerequisite for most health care services. Generally, to receive non-emergent care one must: see a provider participating in one’s insurance plan; contract with a provider willing to accept out-of-pocket payment, when permitted by law; or find a free clinic, if available. In the U.S., individuals must qualify for insurance coverage based on their employment status and history, family or household composition, age, health status and financial condition. Unlike in most other industrialized countries, comprehensive health insurance is not guaranteed for all citizens or residents. Nor is there a single, defined pathway to receiving coverage. Rather there are many possible routes to coverage which follow each individual’s unique circumstances. As circumstances, such as income, change so does eligibility. Complicating individuals’ efforts to receive and maintain coverage, private options change annually at the discretion of employers and insurance companies and consumers have limited ability to negotiate their increasingly substantial costs. Moreover, public coverage (including Medicare, Medicaid, Children’s Health Insurance Program, Indian Health Service, Veterans Administration and Tricare) is provided through an assortment of federal, state and local agencies operating under separate legal authorities. Plus, many individuals need to sign up for multiple insurance plans—private, public or both—to meet all their health needs—medical, mental, dental, visual and long-term care. The assistance that is available to help Americans understand the health insurance system and obtain coverage is generally insufficient. For example, the official website of the U.S. government, USA.gov, lists the main coverage options, but does not describe them in depth or explain how they could interrelate; it merely provides links to web sites with more information. The information which exists tends to be specific to coverage options. For instance, employers only provide details about the plans they offer and contact information for certain public insurance programs. Publicly-sponsored insurance assistance initiatives are program-specific, like the State Health Insurance Assistance Programs, which helps individuals obtain coverage for Medicare, the public program for qualified aged and disabled individuals. The widespread misunderstanding and confusion about the U.S. health insurance system negatively impact public sector organizations in multiple ways. First, they generate waste because many individuals apply to agencies for programs they are not eligible for and submit incomplete applications that necessitate formal requests for additional information. Waste is a growing concern because agencies at all levels of government are under increasing pressure to operate efficiently. The resulting process of requesting and submitting additional documentation to enable eligibility determinations leads to increases in anti-bureaucratic attitudes and reciprocal declines in public employee morale. Furthermore, misunderstanding and confusion inhibit policymaking. 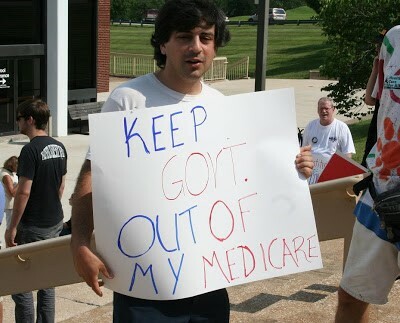 Constituents and non-expert policymakers demand nonsensical or unworkable policy reforms, like “take the government out of Medicare.” In response, experts, including health committee chairs, researchers and advocates, devote substantial resources to correcting misunderstandings, or filling in information gaps, as opposed to developing policies to improve the system. preventive cancer screenings, chronic disease, healthy living (including exercise, diet and risk reduction), health management and accessing health care services. The Centers for Disease Control and Prevention’s National Health Education Standards, which were developed in 1994 and revised more recently, do not make explicit reference to understanding the entire health insurance system. Standard three focuses on identifying, accessing and evaluating valid health resources, but does not encourage doing so in the greater context of the entire insurance system. An extensive and persistent public information campaign is needed. Curriculum standards should be updated to reflect the importance of understanding the insurance system. Federal and state health leaders should collaborate to expand the information provided by program-specific outreach and education initiatives to describe the entire system, including by requesting amendments to legislation when necessary. To alleviate concerns about political meddling, information products would “stick to the facts” about coverage options and their eligibility rules and processes. Adaptable formats and dissemination tools, such as web sites, could be used so that new information ensuring from reforms is incorporated without delay.